Derek T. C. Sun has substantial experience in government and regulatory litigation, corporate litigation, construction litigation and commercial dispute resolution. In the area of government and regulatory litigation, Derek defended a client against the government in relation to a dispute over their franchising business, where the amount in dispute was more than 5 billion NT dollars (165 million USD). Derek also represented a client in a high-profile administrative lawsuit to vacate the Taiwan Fair Trade Commission’s 6 billion NT dollars (200 million USD) administrative fine for cartel activities. He also participated in a well-known administrative litigation against the Taiwan government’s adverse ruling on the transnational investment of a high-tech semiconductor company where the government’s ruling and relevant applicable regulations were successfully vacated. In the emerging areas of electricity energy, environmental law, and climate change, Derek not only has solid practice experience, but he has participated in several government-funded research projects. Derek represented a well-known international aerospace company in a civil litigation against the Taiwan Civil Aeronautics Administration, regarding a 1.8 billion NT (60 million USD) air traffic control system, and successfully helped the client to obtain a favorable judgment. Additionally, Derek represented clients in disputes relating to various construction projects, including commercial land development, dam construction, embankment issues, and golf course development. Derek also represented well-known listed companies in corporate control litigation, including the legality of shareholders’ and directors’ meetings, the election of directors, requesting for preliminary injunctions when necessary. Derek is also familiar with telecommunication regulations, and has represented the cable and telecom industries in negotiations with regulators and has advised media clients on investment, listing, merger, antitrust, and fair competition matters. Derek has substantial experience in the area of energy and infrastructure. 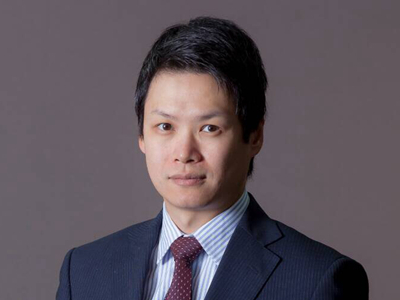 He represented and advised the clients relating to the Taiwan Electricity Act as overhauled in 2016, the Green House gas emission regulations, and other laws and regulations for public utilities. He also represented independent power plants for the high-profile litigation against governmental agencies for the rate adjustment of power purchase agreement. Derek Sun worked for Baker & Mckenzie and Jones Day before joining Innovatus Law. He previously served as the Deputy Secretary-General of the Taiwan Bar Association. Attorney in corporate control litigations regarding China Development Financial Holding Corporation. Attorney in a series of administrative litigation to sue the administrative agency for the dispute under an exclusive franchise. Attorney in civil litigations, representing Lockheed Martin against the Civil Aeronautics Administration, for the dispute regarding purchase of high-tech navigation facilities. Attorney in a civil litigation, representing Standard Bank (South Africa) in dealing with the dispute over the ownership under a floating charge agreement. Attorney in an administrative litigation for the subsidiary of Taiwan Cogeneration Corporation against Fair Trade Commission’s charge of cartel activities. Attorney in a civil litigation, representing the mobile manufacturer Tecom in dealing with the dispute due to an international transaction. Attorney in a civil litigation, representing the construction company Da-Yi in dealing with the default penalty. Attorney in a criminal litigation, representing a leading global manufacturer in communications technology to defend the charge of criminal offense under the Governmental Procurement Act. Attorney in a criminal litigation, representing the management of a leading financial holding company to defend the criminal charges of insider trading, stock price manipulation, and irregular transaction. Attorney in administrative litigations, representing the founder of a leading global semi-conductor manufacturer SMICs in dealing with administrative rulings regarding international investment and financial regulations. Counsel for an ADR offering at NYSE by Chunghwa Telecom. Derek T. C. Sun and Chia-heng Seetoo, The Administrative Appeal System of the National Communication Commission 2007-2009: An Empirical Study, Academia Sinica Law Journal (ASLJ), Issue 10, March 2012. The Legal Establishment and Design of the National Communication Commission, National Taiwan University master thesis, June 2005. Derek T. C. Sun and Janine Lin, Insight of the Amendment to the Electricity Act, Commercial Times, October 7, 2016. On the Legal Risks of the Cooperation with the Government, Deloitte Newsletter, November 2011. After the Amendment of Insurance Act? On the Special Personal Data under the New Personal Data Protection Act, Economic Daily News, January 2011. The New Amendment of Personal Data Protection Act, Deloitte Newsletter, August 2011.